In a recent decision released by the Ontario Securities Commission (OSC) on August 25, 2015, a panel of two OSC commissioners ordered Mitchell Finkelstein, a former Toronto Bay Street lawyer, and other members of an insider-trading ring to pay financial penalties and costs totaling almost $3 million. 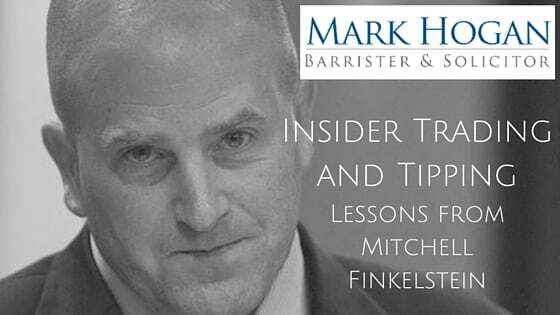 In March 2015, the panel ruled that Mr. Finkelstein violated securities laws when he tipped a close friend about pending deals being worked on by his law firm before they were publicly announced. The friend and others then traded on the non-public information to their profit. The Securities Act (Ontario) prohibits both insider trading and tipping. A person engages in insider trading when he or she is in a “special relationship” with an issuer and he or she purchases or sells a security of that issuer with knowledge of material information that has not been disclosed to the public. A person engages in tipping when he or she is in a special relationship with an issuer and he or she informs another person or company of material information before that material information has been disclosed to the public (other than in the necessary course of business). Both insider trading and tipping are very difficult to prove since in most cases the only individuals with direct knowledge of the relevant communications are the wrongdoers themselves. For this reason, Canadian securities regulators have historically failed to successfully prosecute insider trading and tipping allegations. However, the panel’s decision in March 2015 and the sentence it handed down in August 2015 are significant in that they may have shifted the balance in favour of the Canadian securities regulators. In particular, the panel focused on the lower standard of proof required to establish insider trading and/or tipping under the Securities Act and the widely-cast definition of what it means to be in a “special relationship” with an issuer. In reaching its decision, the panel relied extensively on circumstantial and other indirect evidence to draw inferences that the alleged perpetrators were aware of material information and used it to purchase securities during the relevant period. The panel noted that direct evidence, such as audio recordings or emails (i.e., the proverbial “smoking gun”), is rarely available and accordingly indirect evidence can be relied on where such evidence sufficiently supports inferences to establish the elements of the alleged offence. The panel pointed out that, as an administrative tribunal (as opposed to a criminal court), the applicable standard of proof in these types of cases is “whether the alleged events, based on clear, convincing and cogent evidence, are more likely than not to have occurred”. This is in stark contrast to the much higher standard of proof required in any criminal court that the alleged events be proved to have occurred beyond a reasonable doubt. Considering all of the circumstances, the panel found that there was simply “no other reasonable explanation” for the timing of the trades than to believe that Mr. Finkelstein had tipped his friend. The panel provided a non-exhaustive list of examples of circumstantial evidence that could be indicia of insider trading or tipping: (a) unusual trading patterns; (b) a timely transaction in a stock shortly before a significant public announcement; (c) a first time purchase of the stock; (d) an abnormal concentration of trading by one brokerage firm or with one or a few brokers; (e) a trade that represents a very significant percentage of the particular portfolio. The panel also addressed the issue of who is in a “special relationship” with an issuer. In addition to directors, officers, employees and other insiders of the issuer, and those engaged in certain business dealings with the issuer, any person that learns of non-public material information with respect to the issuer from another person that the first person knows or ought reasonably to have known is in a “special relationship” with the issuer. In other words, the Securities Act creates an indefinite chain of successive tippees. The panel looked at a number of factors, including the relationship between the tipper and tippee, professional qualifications of the tipper and tippee, trading habits of the tippee, in order to determine whether the tippee “ought to have known” that the original tipper was in a “special relationship” with the issuer. Mr. Finkelstein has appealed the OSC’s decisions. It is clear that the Canadian securities regulators have doubled down on their efforts to punish those who engage in insider trading or tipping. The stakes are high. Securities law is complex and distinct and those facing insider trading or tipping allegations under the Securities Act are not afforded the same protections as are provided under the Criminal Code. Accordingly, if you or someone you know is being investigated for insider trading or tipping, you need someone who has a deep understanding of securities law and the expertise to navigate the challenging, and ever-changing, rules and procedures surrounding that area of the law. Having spent many years practicing securities law at one of Canada’s most prestigious Toronto Bay Street law firms and dealing regularly with the Ontario Securities Commission and each of the other securities regulators in Canada, Mark Hogan is uniquely qualified to defend allegations of insider trading, tipping and other breaches of securities law. 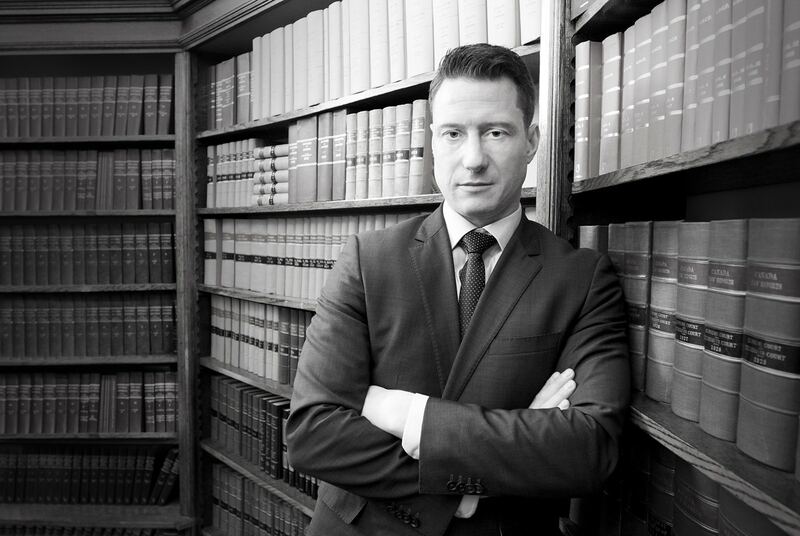 If you or someone you know is being investigated for insider trading or tipping, don’t delay; call Mark Hogan Criminal Defence Lawyer today for a FREE CONSULTATION! Call (416) 716-7157 (24/7).